Used berets from German and British forces. Made of knitted wool to permit shaping to the head when wet. 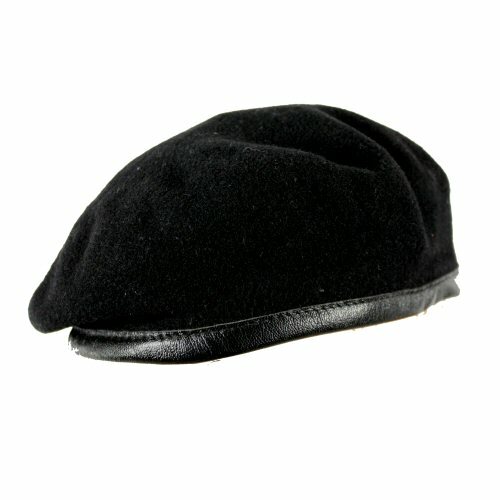 Leather sweatband with drawcord to tighten the beret around the top of the crown if required. 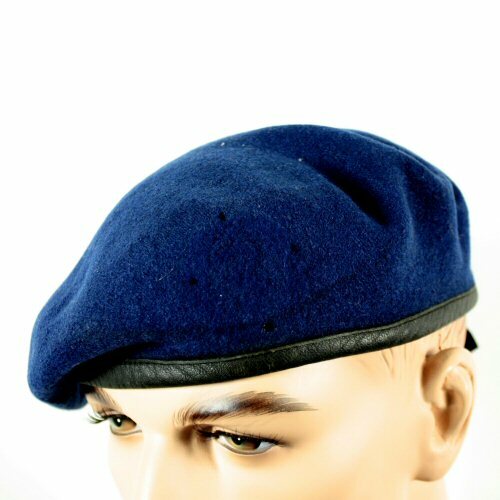 Internally cotton lined, although some British forces berets have the lining removed for closer shaping or to reduce heat. Some berets have the drawcord removed. British forces berets are smaller profile than German forces berets. 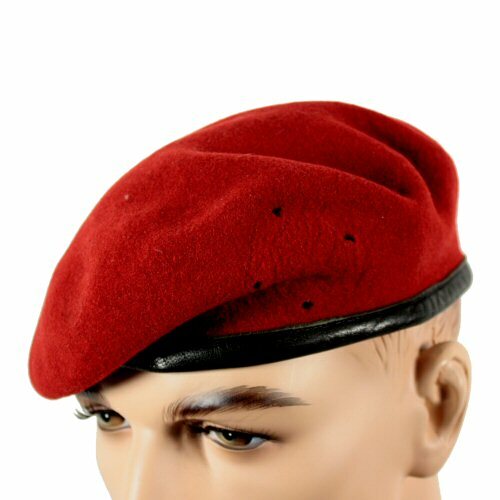 German forces are permitted the smaller profile beret, but call them commando style berets. 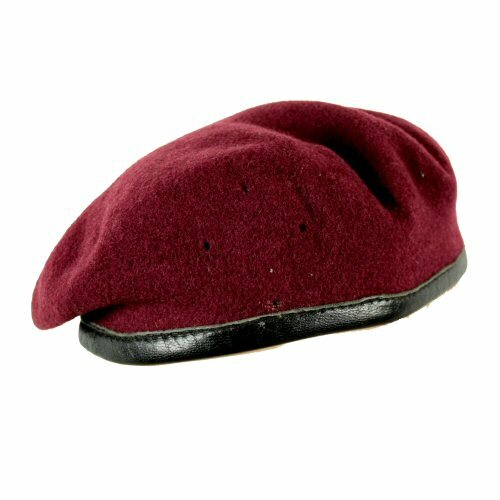 British forces berets have a cut slot for slip-in beret badges, German forces berets have the four holes for German style beret badges. Size 57. German Army Black for Mounted Troops (Panzer, Fernspaher) shown below. Available options are: Maroon , Navy .